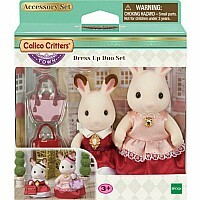 The Dress Up Duo Set is a gorgeous two figure set containing the Hopscotch Rabbit mother and girl in elegant dresses. They wear special satin clothing for going out to town. Lovely handbags and hats for the two figures are also included. For children ages 3 and up. 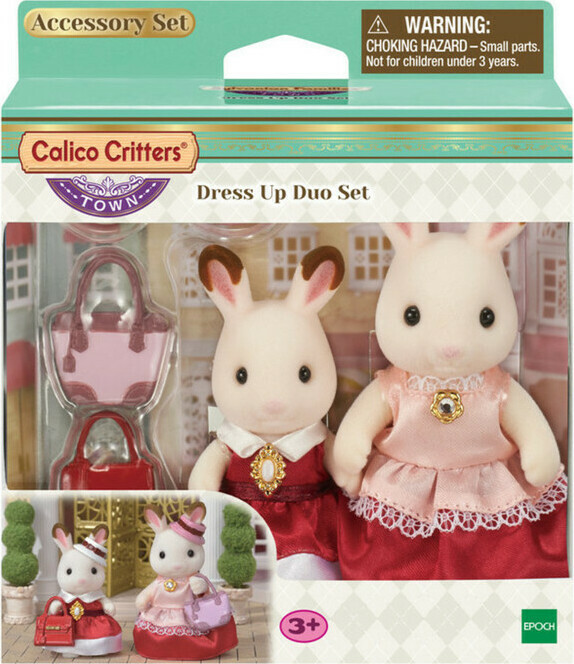 ﾕ The Dress Up Duo Set is a gorgeous two figure set containing the Hopscotch Rabbit mother, Heidi and girl, Bell in elegant dresses. ﾕ They wear special satin clothing for going out to town. ﾕ Lovely handbags and hats for the two figures are also included. Measures approximately: 5.12 x 1.97 x 5.91 inches..